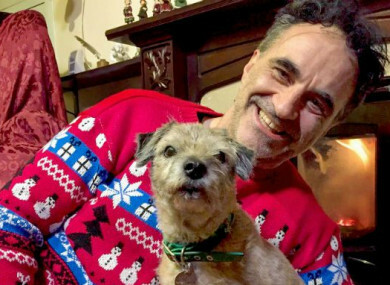 As the festive season approaches at Fitzpatrick Referrals, Professor Noel and his team treat three special patients. A one-year-old crossbreed puppy rescued by a charity from Romania is in need of complex surgery, with no guarantee of success. An eight-year-old Dalmatian needs work on its spinal cord, and a Labrador from Switzerland is having trouble walking. Noel’s investigations reveal problems with both shoulder and elbow, an unusual combination that requires dramatic intervention. In the conclusion of the documentary about London’s Corinthia Hotel, the restaurant is not doing as well as it could and needs a big-name chef to compete with other establishments. Enter Tom Kerridge, most famous for his upmarket fish-and-chips – which is not the usual fare for a five-star hotel. However, he has brought along his artist wife Beth to enhance the space with her sculptures. Will the guests enjoy the new food and art? Meanwhile, managing director Thomas Kochs makes an annual pilgrimage to Las Vegas to a five-star trade convention where he hopes to raise the hotel’s profile among the 6,000 delegates. No, that isn’t a disastrous typo. James Corden wrote a parody of Ariana Grande’s ‘thank u, next’ to show his appreciation for his favourite Jurassic Park actor, Jeff Goldblum. Also, if you’ve been eagerly awaiting the Love Island Christmas reunion, fear not – Dani, Jack, Dr. Alex and co will be cosying up fireside on 17 December. Apparently, Georgia and Sam had a right ol’ barney at it. Ideal. Fortitude (Sky Atlantic, 9.00pm) Oslo send two new officers to attempt to make some sense of the anarchy in Fortitude. I’m A Celebrity, Get Me Out Of Here! (Virgin Media One, 9.00pm) Who’ll be next to leave the jungle? Escape from Dubai: The Mystery of the Missing Princess (BBC Two, 9.00pm) Is the image of Dubai being sold to the public, of winter sunshine and luxury hotels, hiding a brutal dictatorship of human rights abuses?